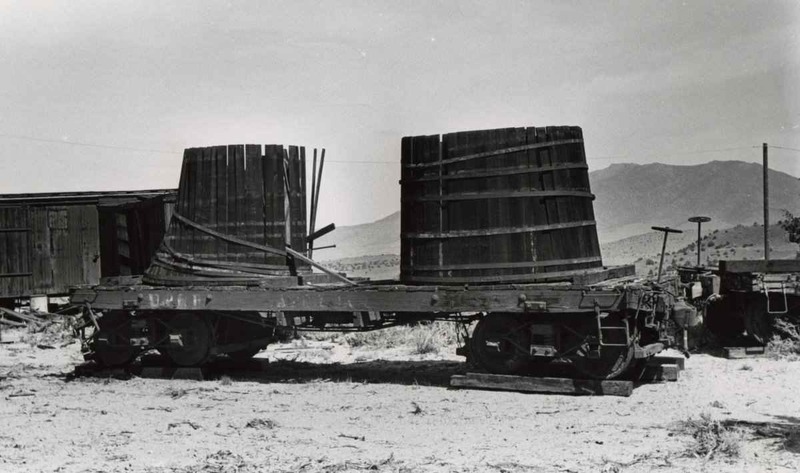 Operating on the fringe of the desert, the Virginia & Truckee needed tank cars to carry fresh water for use at its stations such as Mound House which lacked its own water supply. In earlier years, the V&T mounted rectangular tanks on flat cars. After the turn of the century, the V&T built two cars with cylindrical wood tanks. Water car No. 2 was built in the V&T's Carson City shops using old flatcar parts and placed into service in 1906. 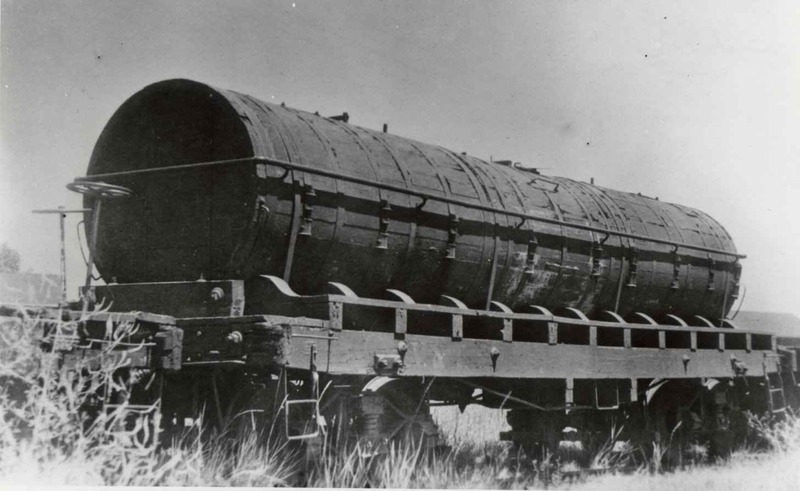 Equipped with a 3865 gallon redwood tank, it was first used in the construction of the Minden Branch. In 1938, it was sold to Paramount Pictures, who removed the wooden tank. The tank subsequently fell into decay, although the metal bands were saved. The State of Nevada purchased the car in 1971, and purchased the bands in 1988. The car is presently awaiting restoration at the Nevada State Railroad Museum.